Square 42-Piece Dinnerware Set Just $37.99! Down From $120! You are here: Home / Instagram / Square 42-Piece Dinnerware Set Just $37.99! Down From $120! Until 04/08/18! 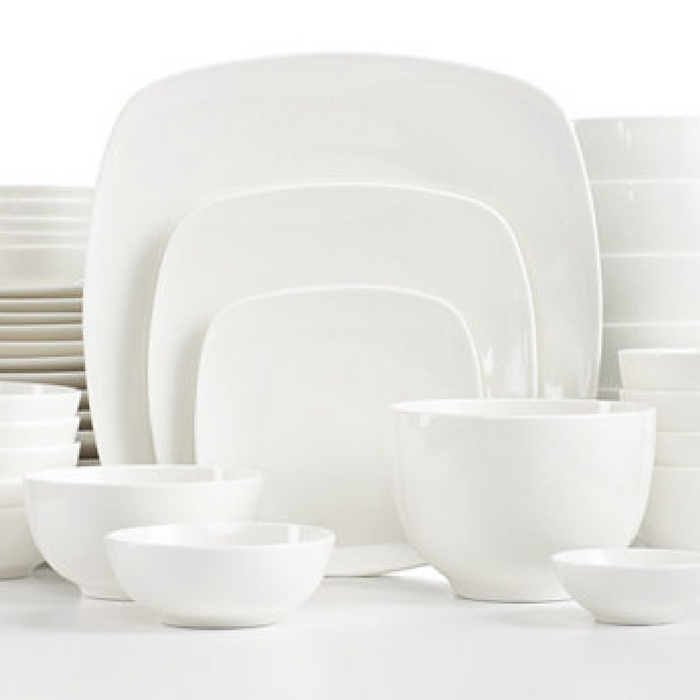 At Macy’s, you can score this Gibson Elements Hampton Square 42-Piece Dinnerware Set for just $37.99 down from $120, no coupons needed! Plus enjoy FREE Store Pickup or get FREE Shipping with any Beauty Purchase or on orders of $99 or more. Geometric effects and stylish texturing accent the versatile white-on-white design of Gibson Elements Hampton Square. It makes a great gift too! Includes 10.5” dinner plates, 8” dessert plates; 6” bread plates, 6” cereal bowls, 4.5” round bowls, 4” fruit bowls, and 3 dip bowls.